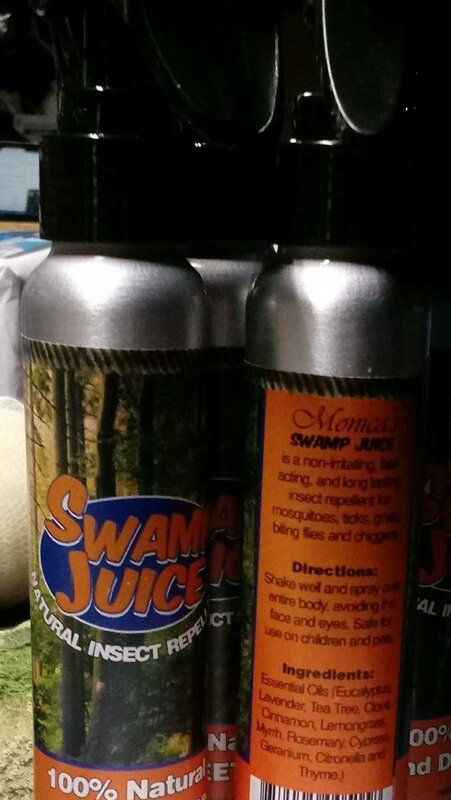 Monica’s, natural insect repellent, Swamp Juice, is 100% DEET-free and chemical free. Non-irritating, Fast acting and long lasting insect repellent for mosquitoes, ticks, gnats, biting flies and chiggers. Created and Tested in and around the Newnan’s lake swamp. Customers’ love the smell and report happy results from the woodsy swamps and forests to beaches and estuaries of Florida. Works well in other states too. 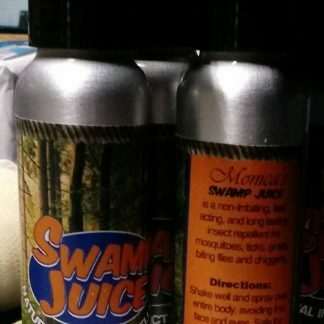 Put some Swamp Juice in your travel kit! Thyme In a witch-hazel base that reduces inflammation and feels cool on contact, distilled filtered water, comfrey, calendula, extra virgin olive oil base. Safe for children and animals. Shake well before use. Spray over entire body, Avoiding the face and eyes.